SEFFINISTO: Featured: You've got the LOOK! Featured: You've got the LOOK! The industry of Fashion is definitely growing and it continue to make waves as a medium of self expression. It is widely used around the world and most are even obsessed with it. As a teenager, I am self-conscious - and one thing that I am always worried of is my appearance. I try to look good everyday and be picky on what to wear; just because I'm living my life to the fullest and being 'in fashion' is a supercalifragilisticexpialidocious experience. Fashion is everywhere - it is advertised in the magazines, news papers, commercials, and even on the world wide web. Its trends are phenomenal and these help the community to be aware and be inspired of it. 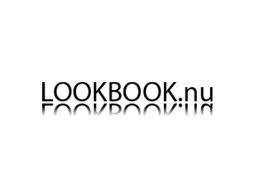 One of the huge promoter of Fashion in today's generation are those social-networking sites where you could post your photos, introduce your clothing, and express your view in Fashion, such as LookBook (lookbook.nu) - collective fashion consciousness. This website showcases fashion from different perspectives and amazing photography. It was created in 2008, where the idea is to bring fashion enthusiasts all over the world to unite and connect as they show their talents in fashion. *Hassle-free, easy to navigate, the best Fashion website to date. LookBook has been a part of my life since I started it in November 2010. It changed me in a way that made me better - especially Fashion wise. Although, most people in the site focuses on fashion labels, shining-shimmering, and expensive clothing - it did not stop me. I find ways on how to make myself fab even without the glamor of Gucci or Chanel. And I guess, looking through the abyss of vintage and thrift stores, the work paid off. I could pull the clothes out! I really liked the concept of LookBook - where one could express their love for Fashion. So, if you are into Fashion and wants to start a career with it, LookBook is one of the ways to begin that dream.